Last night I went to the movies with good friends CD and best-friend-K (to FINALLY see Avatar, in all its 3D glory). 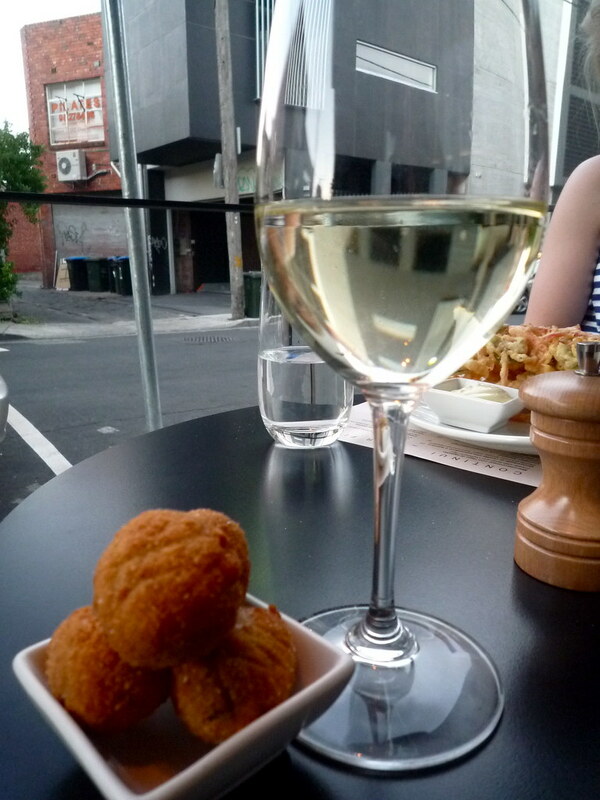 When the girls raised the possibility of grabbing a bite beforehand, I suggested a place I hadn't yet visited but had had recommended to me several times by trusted advisors: Bond Street Cafe & Wine Bar. I'm notoriously picky about eating Italian food in restaurants, given the quality of my Nonna's cooking, but I'm happy to report that BSC&WB pushed my foodie buttons. 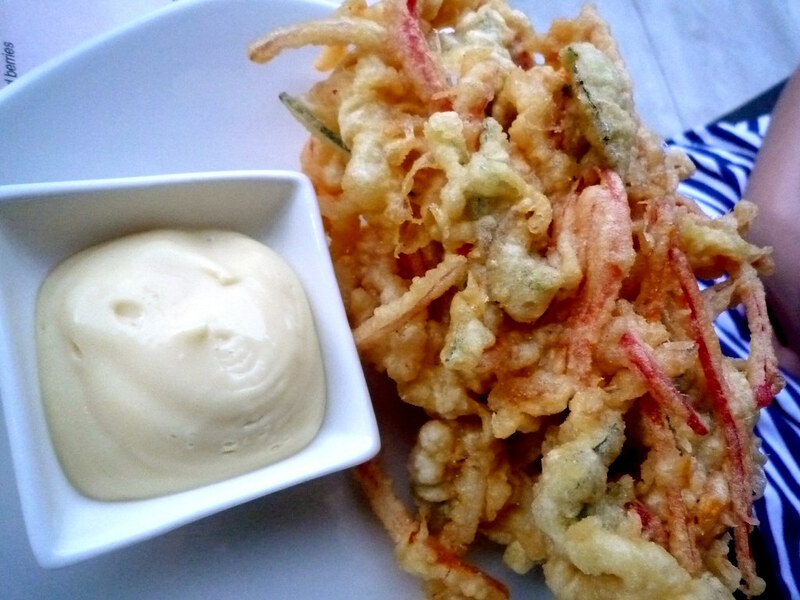 The girls ordered fried inizi: CD had some rather curious, tempuraesque frittelle made of calamari and summer vegetables, served with aioli ($13), and b-f-K had some crochette di melanzane con basilico e provoletta ($12). I particularly liked the crochette: they may look plain, but the smoked mozzarella tasted great with the eggplant and basil. I was pretty psyched to see vitello tonnato on the menu ($13), as it's another favourite Italian dish of mine that Nonna sometimes makes. 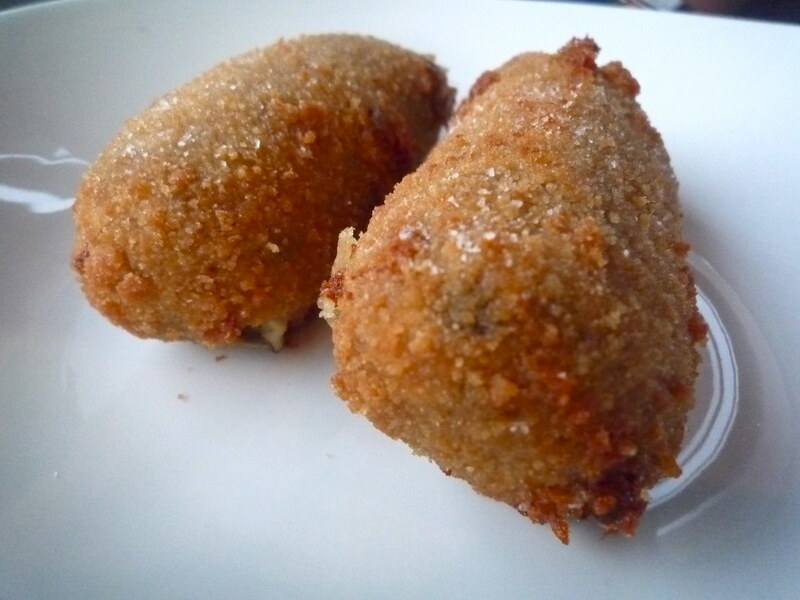 The combination of roasted veal and tuna sauce can throw the uninitiated, but it's delicious. 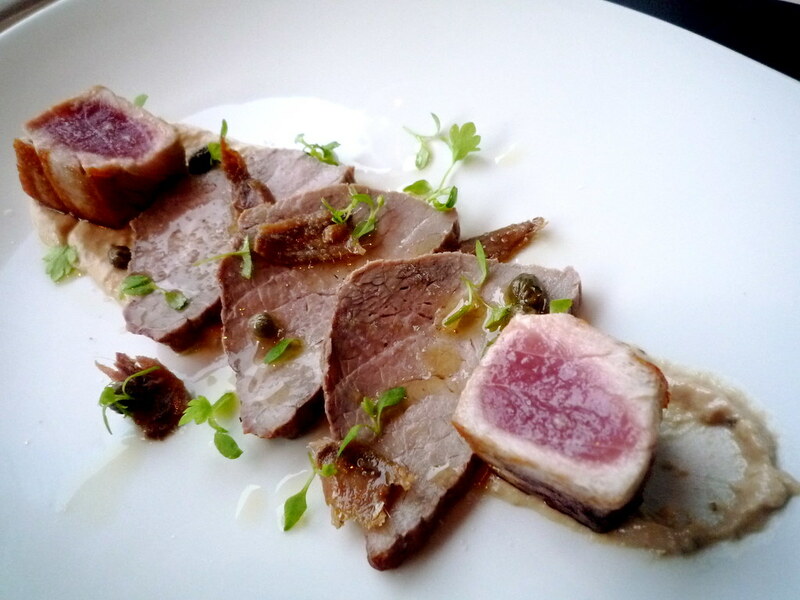 The version at Bond was sexed up with cubes of seared yellow fin tuna, torn anchovy fillets and teeny tiny capers. Highly recommended. 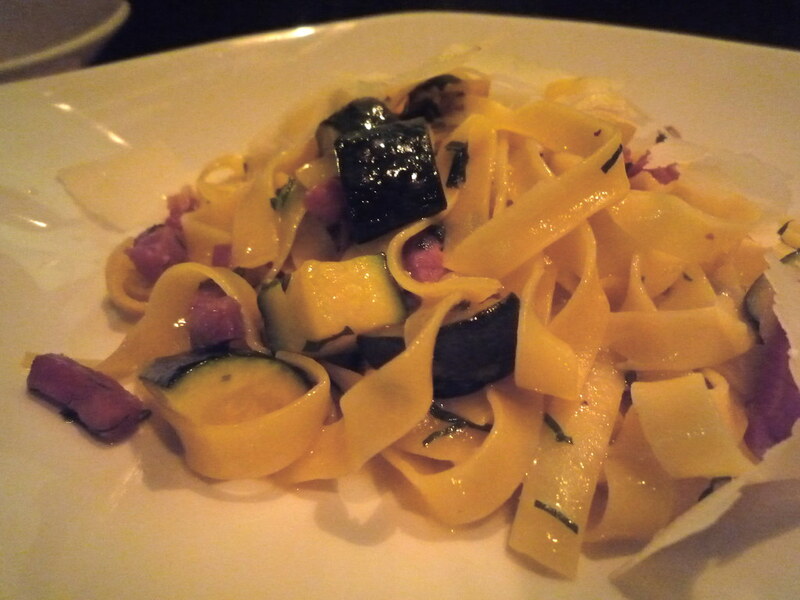 For main course b-f-K ordered the maccheroncelli con ragù di agnello ($26), which she loved, and CD ordered the pasta special: tagliatelle with pancetta and zucchini in a white wine sauce. 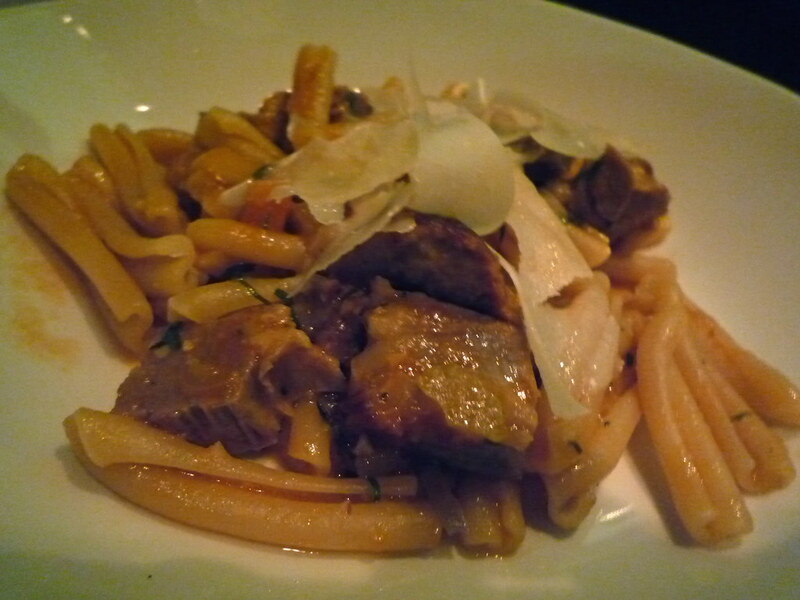 In both cases, the pasta was just al dente enough - another thing I get very picky about in Italian restaurants! I ordered the fish special: it had been described to me by a waitress as snapper but when it came out it was swordfish, and the waiter insisted that it had always been swordfish. No matter. 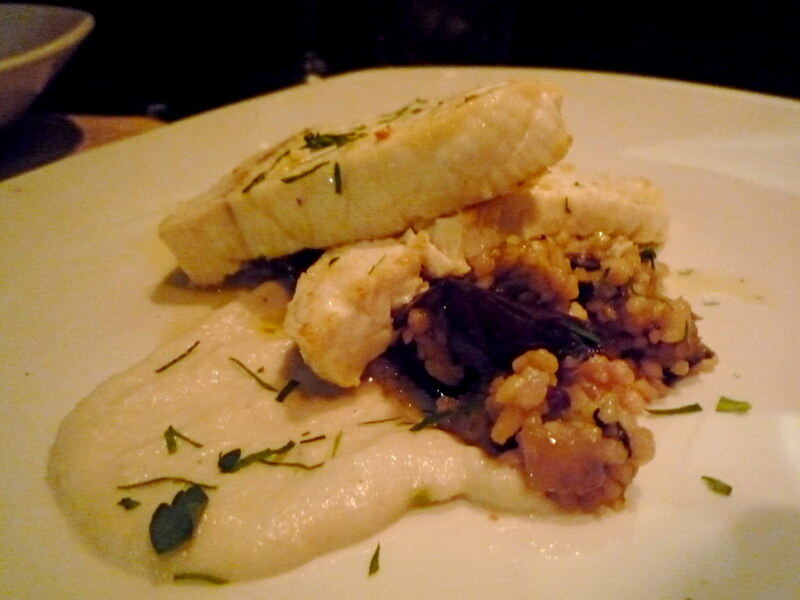 It was served with delicious Sardinian fregula and eggplant. 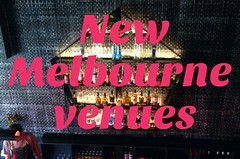 An excellent wine list and sleek minimalist decor added to the attraction of the venue, as did the location: close to the cinema, but tucked down a side street so as to minimise interaction with the skankiness of Chapel Street on a Saturday night. The hard shiny surfaces mean that the interior of the restaurant can get a little noisy when full, but I suggest perching on stools outside as we did for a lovely (and reasonably priced, all things considered) al fresco meal. That looks excellent value, particularly the tagliatele - so many pastes masquerading as pasta nowadays! 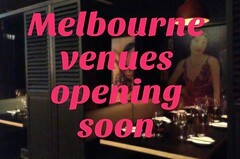 I'm always in South Yarra, wonder if this place does lunch! Heehee- was reading your post and thinking how familiar that menu sounded- exactly the same as Enoteca Vino Bar's old menu (I used to work there)...then I looked up Bond Street and realised that the chef is Luigi Buono! Looks like he still has his faves! i really like the look of your blog and how you have great pick lists on the right. i'll have to steal, sorry borrow, that idea. also my brother was wanting me to create a map and i've noticed yours so it's inspired me to get my act together to try and do one. 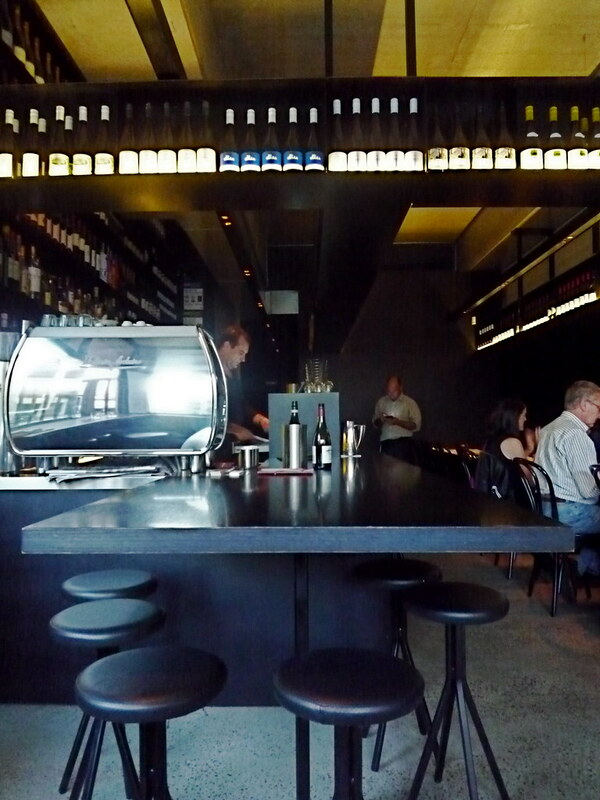 I recently visited Bond Street Wine Bar and found it to be amazing. The food was fresh and I did not want to share it with my friends. The service was excellent and the staff were very kind throughout the evening.